The past two months I have taken a break. After a wonderful, challenging five years of ministry at Resurrection Lutheran, I felt the call for rest and renewal. I ran and prayed. I finished phase one of intentional interim ministry training. I slept and watched movies. With my wife, I joined a local Lutheran congregation, Prince of Peace in Roseville. I even joined their choir for last Sunday’s Lesson and Carols. It has been two months of spiritual and emotional refreshment. Now I begin the next stage of my pastoral ministry. On January 1st, I start my journey with Trinity Lutheran Church in Lindstrom as their Interim Senior Pastor. I have met with their council’s executive team and their staff and felt their energy, hope and joy. Their previous Senior Pastor, The Rev.Lauren Wrightsman, served them well for more than seven years, recently leading them through a strategic vision process. The Vision 2020 will be a key piece in their describing their present ministry setting and in discerning what kind of pastor can best lead them forward. I am so ever grateful for this opportunity to serve Trinity as their interim senior pastor. As their pastor, I will preach and teach, visit and pray. 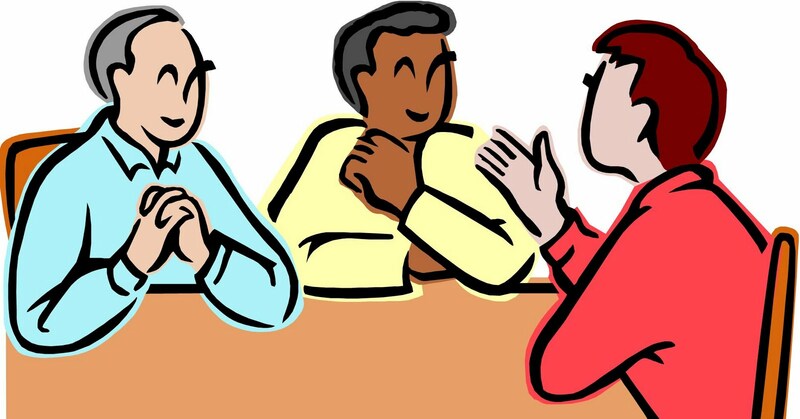 As the interim, I will also serve as a kind of outside consultant, asking questions and providing guidance as their leaders, staff and members begin the process of calling a new senior pastor. The process could take anywhere from 9 months to over a year; the challenge is to listen carefully to the Holy Spirit’s direction. REACH OUT to a community in need. This entry was posted in Holy Spirit, Trinity Lutheran Church, Uncategorized and tagged magi, vision on December 22, 2015 by Pastor John Keller. Monday I resigned as Lead Pastor of Resurrection Lutheran Church. My last Sunday will be October 25, 2015. You can see my letter of resignation here. The path to the decision was a long and winding one. (The twisting path was also a partial reason I have not posted on this blog for six months.) It was not made suddenly or without prayer and conversation. Though there have been many contributing factors, three key events shaped my decision. The first was an eight-day silent centering prayer retreat in June. 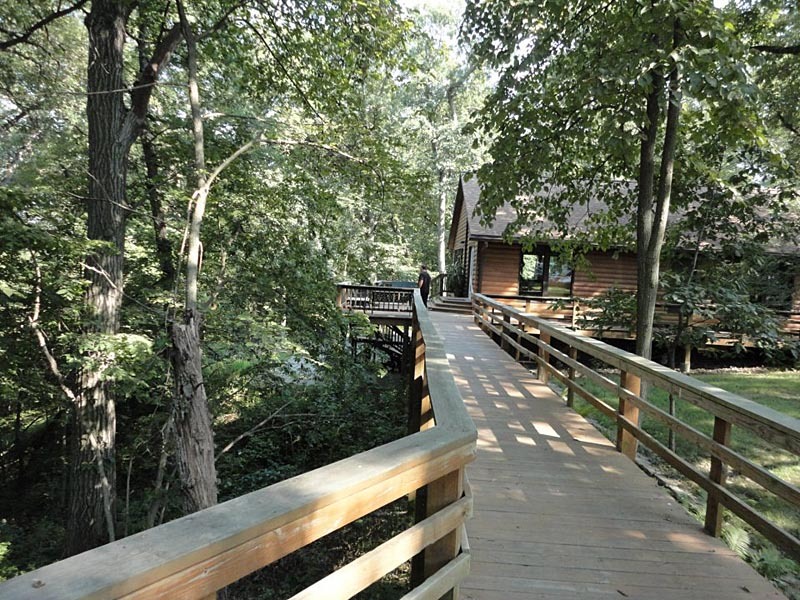 Though it was held at a non-descript wooded camp, the experience was life transforming. The silence time of prayer and reflection helped solidify my longing for contemplation and deep prayer. I had a couple of profound experiences that I need to write about in future posts. I want to go back. 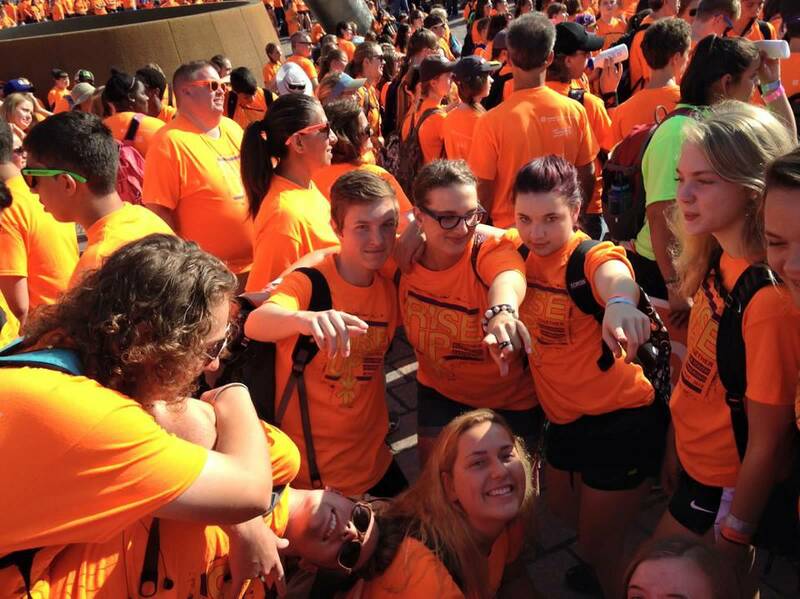 The second was the five-day ELCA youth gathering in Detroit in July. Thirty thousand youth packed into Ford Field, praising, dancing, singing in the joyous, raucous Spirit of Christ. There were times when I felt like I was 17 years old again, swept up in the celebration. It was a powerful trip for me, the three adults, and ten youth from Resurrection. Both are good and healthy, but they rarely live together in the same tent. The two are significant in that I see my own spirituality moving towards the quiet, contemplative end of the spectrum, while I see the needs of Resurrection’s spirituality is for the joyful dance. Neither is better than the other, but they were not working together within me, especially since I am called to be the leader. Thus for months my own spirit has been restless. Like a skillful politician I hemmed and hawed and dodged the question that evening. But as I drove home from the conversation, I realized in my heart-of-hearts that I no longer fit. It was a blow to my ego. I wanted to be in control, yet I was not. I wrestled with the question all through that night and several afterwards. Yet I woke up each morning realizing that the answer was the same. It is time for me to leave Resurrection. In the next couple of days, I will post on what my plans are for the future. For now it is sufficient to say that I am both sad to leave a fantastic congregation like Resurrection and at peace with listening to the call of God’s Spirit. I have been reflecting on these words from Parker Palmer’s Let Your Life Speak. This entry was posted in ending, Holy Spirit, Joy, Prayer, Resurrection Lutheran Church and tagged call, centering prayer, church, resign on September 30, 2015 by Pastor John Keller. In college I went to an evening service for healing. I went with a friend expecting to pray for her health. But while I was there, I went forward for prayer myself. I asked the pastor to pray for my critical, skeptical thinking that often blocked my faith experience. Sidewalk Sunday school, to various urban projects in Denver. My team has helped working puppets and leading games. My skeptical mind finds many parts of the ministry uncomfortable. For example, competitive games and prizes are not my specific vision of Christian children’s ministry. The focus on “making a decision for Christ” runs counter to my focus on responding to God’ s grace. Yet I have folded the wings of my intellect so that the Holy Spirit can soar. The Spirit is soaring because Pastor John Gallegos and his team are there to share the love of Jesus. His team are dedicated to loving children who are forgotten by many in our society. They share the love of Jesus in song, puppets, food and word. Week after week –spring, summer, and fall –they go to the very neighborhoods that many of us avoid. The youth and I are blessed to serve with them. Sidewalk Sunday School’s Bible verse this week is Proverbs 14:21, “Being kind to the needy brings happiness.” Their kindness has brought each member of Resurrection’s team happiness. Lord Jesus, thank you for your soaring Spirit. 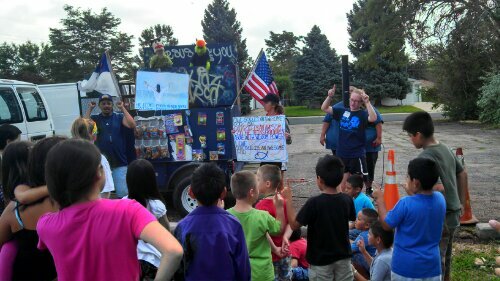 This entry was posted in Bible, Holy Spirit, love, service and tagged Denver Metro Ministries, John Gallegos, Sidewalk Sunday School on July 17, 2013 by Pastor John Keller. Among the many presenters at the Festival of Homiletics this week, Barbara Lundblad is one that I wanted to hear. She is one of the first women preacher to develop a national reputation as communicator of the gospel. She is also a Lutheran and has ruffled many feathers with some of her controversial statements. She gave a workshop Tuesday called “Seeing the Word.” Barbara is a professor of Old Testament and she focused on the Advent scripture texts from Isaiah. She encouraged us to see the significance of using visual metaphors to help the congregation not only hear the word, but see the word as well. She asked us to engage the artists and designers in our congregations to create visual symbols that help the congregation fully enter the story of the texts. Barbara then told a humorous story about a young intern pastor spending nearly the entire annual budget for worship in her congregation on a long bolt of clothe. He then ruined the church kitchen sink dyeing the fabric blue. For Sunday worship, he rolled the blue cloth from the altar down the center aisle, through the narthex and out the church door and into their neighborhood. He preached on Ezekiel 47 where the prophet describes a river of water flowing from the temple in Jerusalem into the Dead Sea. The river was a symbol of life for Ezekiel and for us. The intern’s blue cloth symbolized the congregation becoming a God’s river of life in their community. I was reminded of last fall when our stewardship team encourage me to use some visual symbols as part of our “Fuel the Flame” stewardship theme. Members of the congregation created logs that captured some of the words of faith and we used them in worship. Later the logs became part of a congregational bonfire. 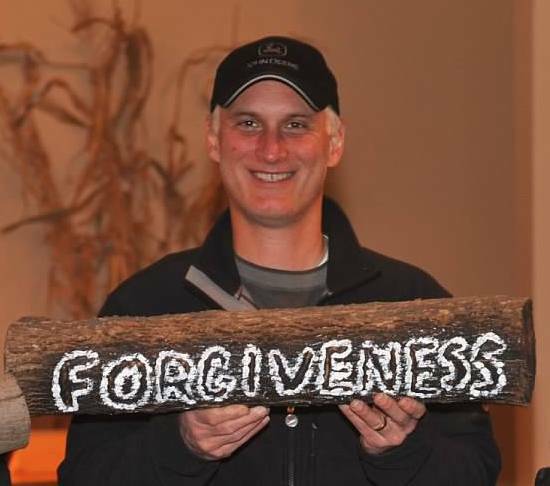 The logs became symbols of how our faith can catch fire with God’s love and in turn we can share the fire with others. I am thankful for all that I can learn from some of the outstanding preachers in our country. Lord Jesus, you are the Word made flesh for us. Open our eyes to see your Word for us. This entry was posted in Holy Spirit, Preaching, Uncategorized and tagged Barbara Lundblad, Festival of Homiletics, Lutheran, Word on May 16, 2013 by Pastor John Keller. Last evening my grandson, Jack Keller, was baptized. My son and daughter-in-law come from different faith traditions regarding baptism and my son wrote about this on their blog. I plan this week to write on the various perspectives of baptism and how it can be a vital touchstone of faith. Baptism is a beautiful collage of images and promises that revolve around this gift of God. Each image has value, worthy of reflection. In the Lutheran tradition, the focus is on God’s promise and God’s initiative in creating the covenant relationship. I cannot come to God on my own, but the Holy Spirit calls me through the Gospel. Baptism is a tangible expression of the gospel, the good news of Jesus Christ. One baptismal image that expresses God’s initiative is adoption with the gift of the Holy Spirit. 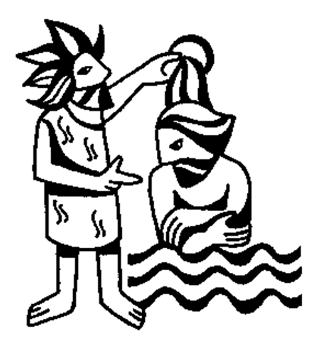 Jesus was baptized by John prior to beginning his ministry. And when Jesus had been baptized, just as he came up from the water, suddenly the heavens were opened to him and he saw the Spirit of God descending like a dove and alighting on him. And a voice from heaven said, “This is my Son, the Beloved, with whom I am well pleased” (Matthew 3:16-17). Though Jesus was God incarnate, God the Father sent the Holy Spirit as a sign affirming Jesus’ authority as God’s Son. God did this prior to Jesus starting his ministry, before he preached or healed. The same Holy Spirit is given in our baptism and we are “adopted” as God’s children. For all who are led by the Spirit of God are children of God. For you did not receive a spirit of slavery to fall back into fear, but you have received a spirit of adoption. When we cry, “Abba! Father!” it is that very Spirit bearing witness with our spirit that we are children of God (Romans 8:14-16). One of the ways this is enacted with an infant baptism is that the infant is normally held by the Christian sponsors or the pastor during the baptism. The pastor or sponsor represents God’s claim and blessing upon the child. After the baptism the child is given back to the parents as a gift from God with the understanding that the child will be raised in faith. Baptism is a powerful reminder of who I am: I am a child of God. I am God’s child, not because of my actions or inactions, but because of God’s tangible grace given to me in baptism. Next post: B is for Belonging. Lord Jesus, Thank you for claiming me as your child. This entry was posted in Baptism, grace, Holy Spirit, Lutheran, Uncategorized and tagged adoption, child of god, Romans 8 on November 26, 2012 by Pastor John Keller. I have the joyful task of making simple edits and posting the video to our special blog: FuelFlame.blogspot.com I am discovering there is certainly an art and skill to video editing, and like anything, it takes practice and time. As I posted a month ago, doing something new has an awkward phase to it. Yet I am confident that I can learn to do video editing better. My hope is to add video posts to my trustliveserve blog soon. I am thankful for how the stewardship team is working together to make Fuel the Flame a significant part of our congregation’s ministry. Our theme is based on 2 Timothy 1:6, “I remind you to fan into flame the gift of God” (NIV). Part of that flame is becoming a generous people, contributing financially to our shared mission. God has ignited a flame within the hearts of Resurrection and I am excited to see it grow and spread. Lord Jesus, help me fan the flame of your Spirit in my life and others. This entry was posted in Beginnings, Holy Spirit, Resurrection Lutheran Church and tagged 2 Timothy 1, Fuel the Flame, stewardship, video on October 2, 2012 by Pastor John Keller. Jesus is our peace. In his life and death on the cross, Jesus broke down the dividing walls so that we are no longer strangers and outsiders, but we are citizens with the saints and also members of the household of God. The foundation of God’s house was built of apostles and prophets, and Jesus, the cornerstone, holds it all together. Like many of the participants, this will be a mile-stone for our youth. Growing up in a congregation like Resurrection, where their confirmation class is from 15-20 classmates, our youth often perceive the church as a small intimate group. Gathering with several thousand other youth will expand their vision of what the church is and can become. The Holy Spirit power of 36,000 youth singing and rocking the Superdome will energize and renew the faith of many who attend. A couple of years ago, I attended a similar Christian gathering called Catalyst. About 10,000 young adults gathered from across the nation in a small arena in suburban Atlanta. The packed arena of singing, cheering, stomping, passionate followers of Jesus Christ made my heart sing. I am so proud of how Hannah Koehler, our first-year youth director, has worked to make this mission trip become reality for our youth. She attended a National Youth Gathering several years ago and the experience transformed her life. She and others on the trip are writing their own blog to keep our congregation informed. I invited you to join me in praying for all the youth in New Orleans this week as they discover their place as Citizens with the Saints. Lord Jesus, bless, encourage and nurture all the youth who have gathered in New Orleans this week. This entry was posted in Bible, Holy Spirit, Lutheran, Resurrection Lutheran Church, service, Uncategorized, worship and tagged Catalyst Conference, ELCA Youth Gathering, Hannah Koehler on July 18, 2012 by Pastor John Keller.